Isn’t God’s Mercy For Children TOO? I continue to ask this question every time I see a “Christian” claim that children must be spanked/hit in order to receive forgiveness and understand God’s mercy someday. But God doesn’t do this to us. All we, adults, have to do to be forgiven by God is ask God to forgive us. God never punishes us before forgiving us and extending His amazing grace and love to us. So why is it supposedly different for children? 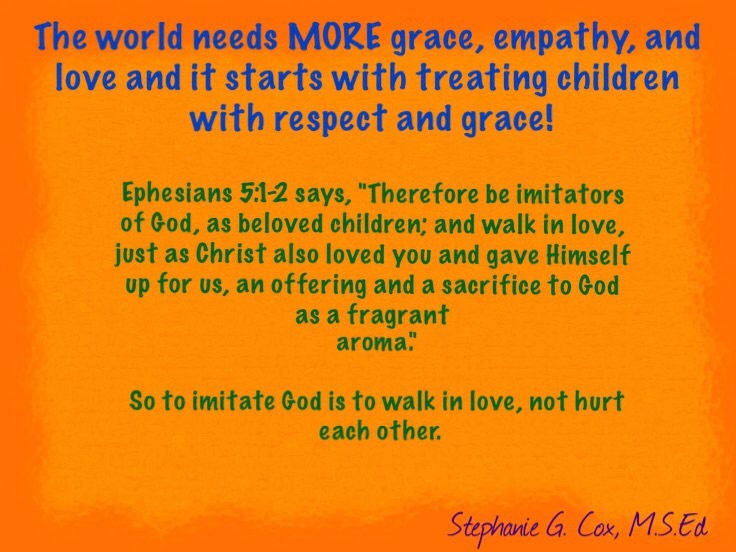 So, yes, God’s mercy, grace, forgiveness, and love is for children too! This was today’s devotional on Biblica.com. 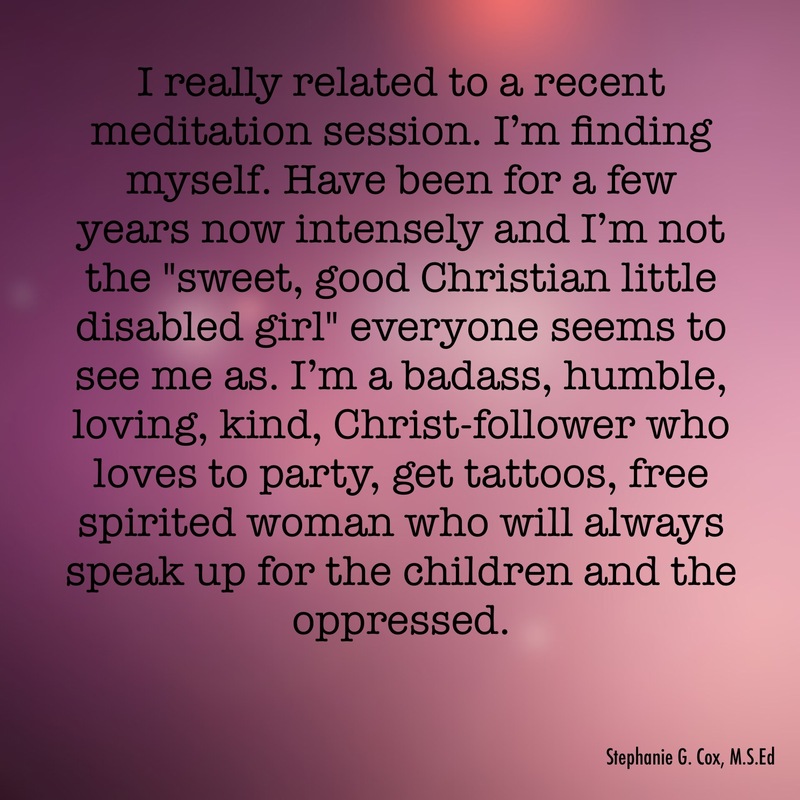 It really encouraged my husband and me as we’ve been dealing with some difficult people lately. Anyone practicing and advocating gentle parenting usually end up running into those who just don’t understand why we are so passionate about treating children with respect. We tend to get put down and berated for not spanking/hitting or otherwise punishing our children. It can get quite discouraging. And lately, especially on Facebook, there seems to be more arguing and dissention over everything! Standing for Biblical Truths seems to be highly frowned upon nowadays. Thankfully, we can take courage in the above Scripture. We don’t have to be alarmed by our opponents (easier said than done. Trust me, I know!). Jesus has been right where we are. He had to even walk away and shake the dust off His feet when people would ignore and insult Him. Then on the Cross He put up with horrific treatment. I often mess up when dealing with difficult people. It’s hard to be insulted and put down for teaching gentleness and love for children. But Jesus gives me grace when I fail. He’ll do the same for you. And when we show kindness to difficult people, we show them the Gospel. And we teach our children how to be kind to everyone while exercising boundaries when needed. Since this is the Christmas season, may we share uplifting things with each other in order to stop some of the hate and dissention in the world. “For the promise to Abraham or to his descendants that he would be heir of the world was not through the Law, but through the righteousness of faith. For if those who are of the Law are heirs, faith is made void and the promise is nullified; for the Law brings about wrath, but where there is no law, there also is no violation. I often see Scripture applying to the parent-child relationship where most would not. For example, this Scripture clearly states that living by grace and faith is what we ought to do as Christians because merely living by the Law brings wrath and voids faith. We all know that the reason Jesus came to die on the cross was to allow us to have an easier way to access God. People cannot successfully keep the Law of Moses. Because of Christ’s work on the cross, we now have grace and can live by faith in Jesus. So, how come so many Christian parents tend to make their children live by the Law which brings about wrath? Parenting by the Law means that parents set up rules by which their children cannot abide such as expecting a toddler or preschooler to sit quietly through an hour long church service. This is completely developmentally inappropriate for young children. Then when the child inevitably breaks this arbitrary rule, the child gets spanked/hit or otherwise punished by the parent. The Law brought wrath upon the child. The parent’s and child’s faith are void because neither is trusting God in that moment even if the parents think they are doing as God commands by punishing the child. Therefore, when a parent spanks/hits a child, he/she is parenting under the Law and acts as a judge. The child commits an offense, the parent tries the child and decides a spanking is necessary, the parent doles out the punishment, then the child is free to go on since he/she paid the price. Only, as Christians, the Law is no longer binding. If we want children to learn the grace, peace, love, and mercy of the Law of Christ, why do we parent under the Law of Moses? We are supposed to be living by grace and faith. Living and parenting by faith means we get to know Jesus and follow His example in our parenting. He set realistic limits for His disciples and gently corrected them. We also need to understand child development in order to set realistic limits for our children. For example, instead of expecting toddlers or preschoolers to sit quietly through a church service, we either worship at home with them, bring crayons and let them color as we sit in the back of the sanctuary in case they need to leave, or allow them to go to children’s church. Grace doesn’t punish. It doesn’t nullify faith. 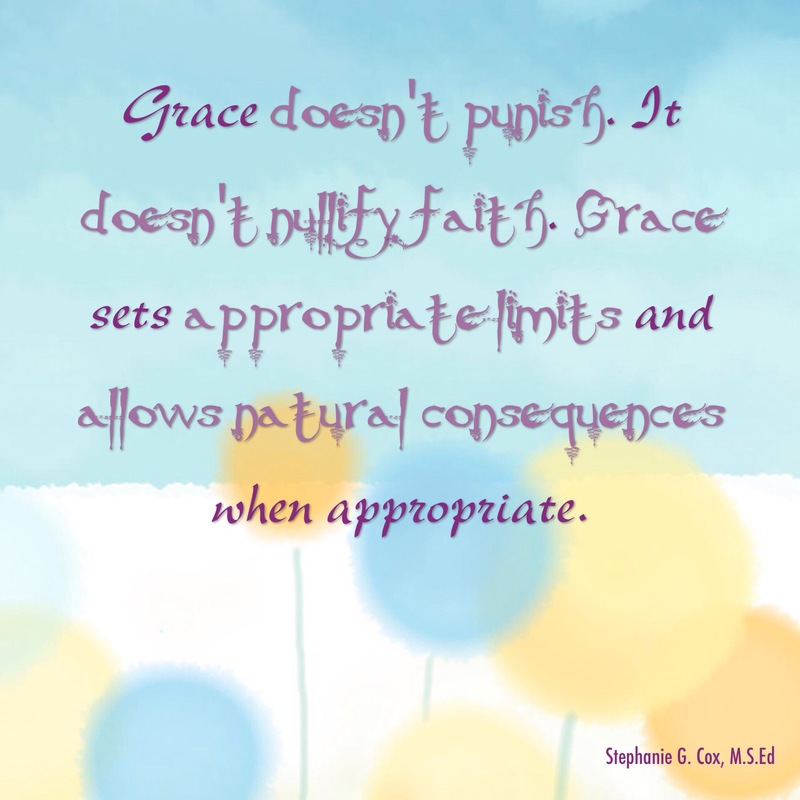 Grace sets appropriate limits and allows natural consequences when appropriate. Let us parent our children through faith and grace.